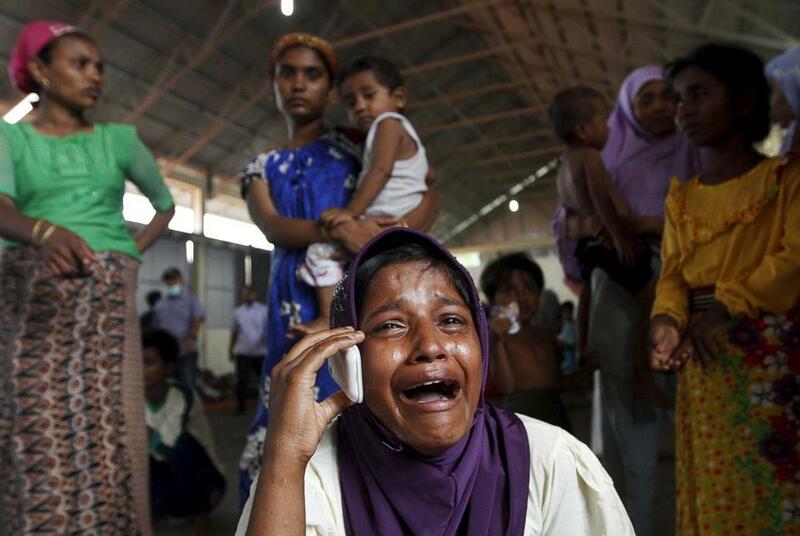 A Rohingya migrant who arrived in Indonesia by boat cried while speaking with a relative in Malaysia. DHAKA, Bangladesh — Bangladesh’s government is moving forward with a plan to relocate Rohingya refugees staying in camps near the country’s largest tourist resort towns to a remote island. A Cabinet order on Thursday directed officials to have the refugees transferred to Thengar Char, an island in the Bay of Bengal that is lashed by high tides year-round and frequently submerged during the monsoon season. The suggestion that they be moved to the area, hours by boat from the mainland, drew criticism from around the world. The relocation plan was last proposed in 2015, but the government quietly suspended it after criticism from international aid groups and rights activists. Its reinstatement follows the arrival of an estimated 65,000 Rohingya from Myanmar after a crackdown by Myanmar’s army. The UN says the Rohingya, Muslims denied citizenship in Myanmar, are the world’s most persecuted minority. Since 1992, about 32,000 registered Rohingya have been living in two UN camps near Cox’s Bazar, but estimates of unregistered refugees range from 200,000 to 500,000. Many of them live in two sprawling makeshift shelters close to the official camps, while others are scattered across southeast Bangladesh. Talk of forced relocation worries refugees who have lived in the Cox’s Bazar area for more than two decades. The UN refugee agency, which runs the two camps, criticized the relocation proposal in 2015, calling it “complex and controversial” and saying that departures would have to take place with the migrants’ consent. Now, the return of the plan has taken aid groups by surprise.